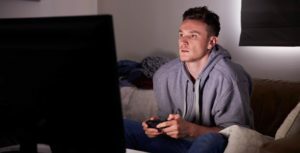 Video-Game-Addiction.org recognizes and understands how important privacy is to our readership. Our website collects information from you when you complete the contact form, located on the contact page of our website. We also provide our readers with the option to join our newsletter, and we collect the necessary information to send these emails from you when you fill out an opt-in form. When you provide an email address we may use it to follow-up on queries or send information to you, depending on the circumstances. At the bottom of each newsletter sent to you, there is a link that allows you to unsubscribe. Clicking this link will allow you to immediately notify our email provider that you do not wish to hear from us again. We strictly do not share our user’s email addresses with anyone. Cookies are tiny files that a website or service provider transfers to your computer through your web browser. These files enable the website or service provider to recognize your browser and capture and store information. This information is known as Non–personally identifiable because data collected regarding IP addresses, browsing habits, browser type, etc. is not linked by us to you as an individual. This page was last updated on March 29th, 2019.